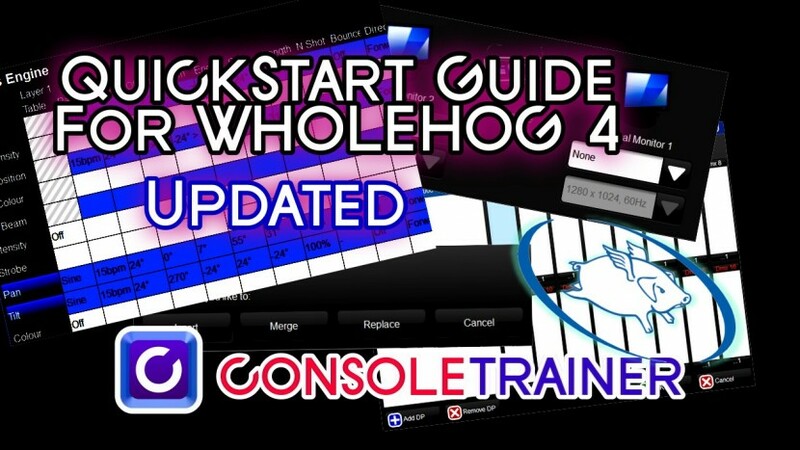 This guide is designed to help you get up and running with a small show on the Wholehog4 OS. This guide has been updated for Hog4 OS. You can download a PDF of this guide, or the Hog3 Quickstart guide below. The guide is seperated into sections by topic below. While these are structured to be followed in the order they are listed, you can certainly jump to any topic at any time. If you’re new to the Wholehog, you might want to start with the Wholehog Concepts page– which will serve as a glossary for Hog-centric terminology.